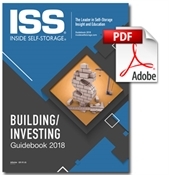 This Guidebook is designed to help those interested in self-storage investing as well as those who want to establish or expand an operation. It addresses real estate, finance, development and construction. Big savings! 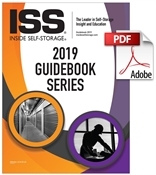 The Inside Self-Storage 2017 Guidebook Series contains both publications at a discount of more than $20. Get detailed insight on building, investing, ownership, management and more. Big savings! 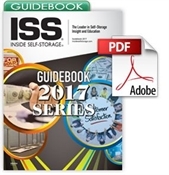 The Inside Self-Storage 2017 Guidebook Series contains both publications at a discount of more than 20 percent. Get detailed insight on building, investing, ownership, management and more.